Sometimes you may want to limit the discount to products from one or two categories alone. The free product can be either a few selected products or it could be from the same category or a different category. The following is an example of the rule set up to buy 4 products of the same category and to get 2 quantity of a specific product for free. Order: You need to provide the priority of this specific rule. 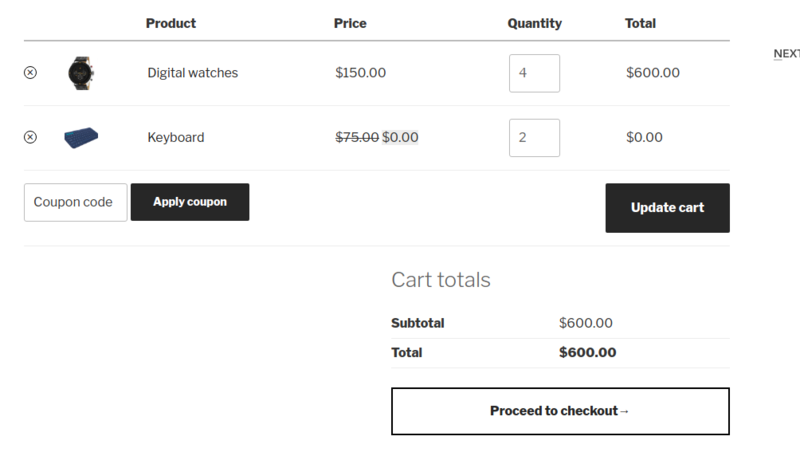 Rule Name: Provide a rule name.Here it is "Buy 4 get 2 free of the same category"
Method: It is "Quantity based by product/category and BOGO Deals"
Next here, You need to set up the discount conditions. Apply to: Here it is "Specific Categories" as we are trying to give discount for quantity of the specific Category. Select the Specific product in the drop down. Here it is "Watches"
User roles: You can choose it accordingly if you wanted to provide this discount for any specific User groups. Here in this example it is for all Customers and User groups. Here it is 4 quantities as the rule is when user buys 4 watches he will get 2 products free. Fill Min and Max Quantity as 4. Adjustment type: it is product based as it is product discount. Apply for: Select More than one cheapest from selected, which takes the selected product which we wanted to give it for free. Choose Dynamic Item Count: 2 to get 2 free products. Then select the product which you need to give it for free. Here it is "Keyboard". And it is 100% discount on keyboard. Here is the Cart display when the rule is applied. When 4 watches are purchased 2 keyboards are given for free. 1. 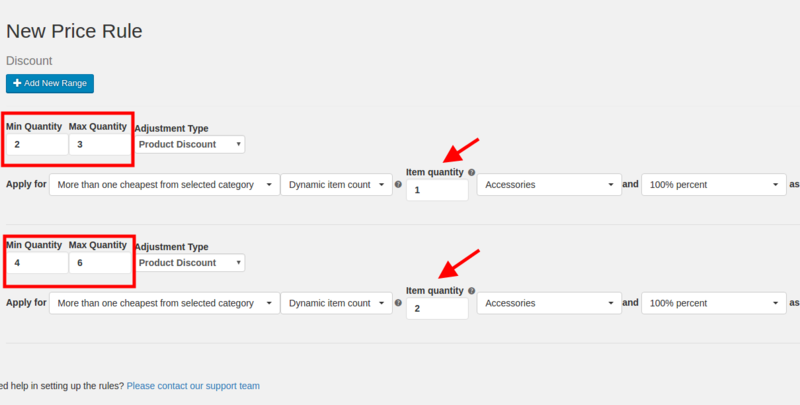 How to provide X quantity as free from Category B when customer purchases X quantity from Category A? In the discount tab, create ranges like the below. This means, when customer purchases 2 quantities from Apparels category, he would get 1 cheapest product (which he added to the cart) from Accessories category free. 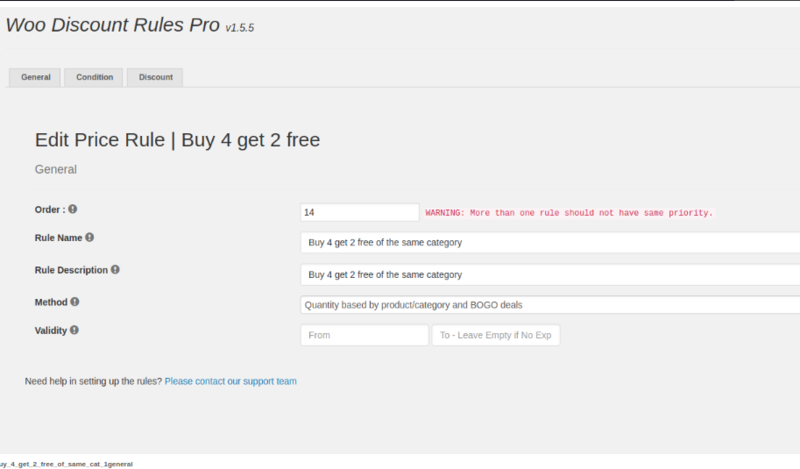 If he buys 4, the customer would get 2 items (each 1 quantity) from Accessories category free. You can configure more ranges. 2. How to provide a free products from the same category when customer purchases from Category A. Simple. See the FAQ 1 above. In the discount tab, choose the Apparels category instead of a different category.